A misunderstanding about a documentary members of a tour to China watched in their hotel led to their arrests, says a spokesman for two of the party. Three Britons arrived home on Saturday – the last of 20 UK, South African and Indian nationals to be deported since their detention in Inner Mongolia. They are said to have watched a film about Mongol warlord Genghis Khan to help them get the most out of the trip. But Chinese officials mistook it for a terrorist video, the spokesman claimed. 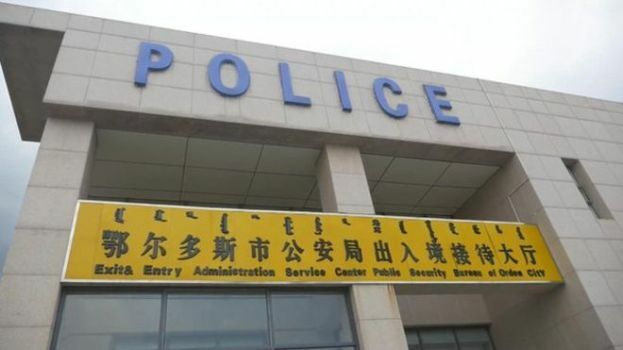 Police in the city of Ordos have declined to comment on the case but no charges were brought. The UK embassy in Beijing confirmed that the three remaining Britons had now been flown home after spending a week at a detention centre. The tour group members were arrested by police on 10 July at the airport in Ordos. They were said to have been 30 days into a 47-day visit to the sites of ancient China. Six Britons and five South Africans were released and deported on 15 July. The remaining nine tourists – the three Britons, two dual UK-South African citizens, three South Africans and an Indian national – were freed two days later. Hoosain Jacobs, 74, and his wife Tahira, 68, from west London, were among the three Britons to return on Saturday.